Introducing Godrej Protekt masterblaster; a handwash unlike any other.Soft on hands.Tough on germs. A handwash unlike any other! How, you ask? Well, it does not contain harmful chemicals and is naturally derived. 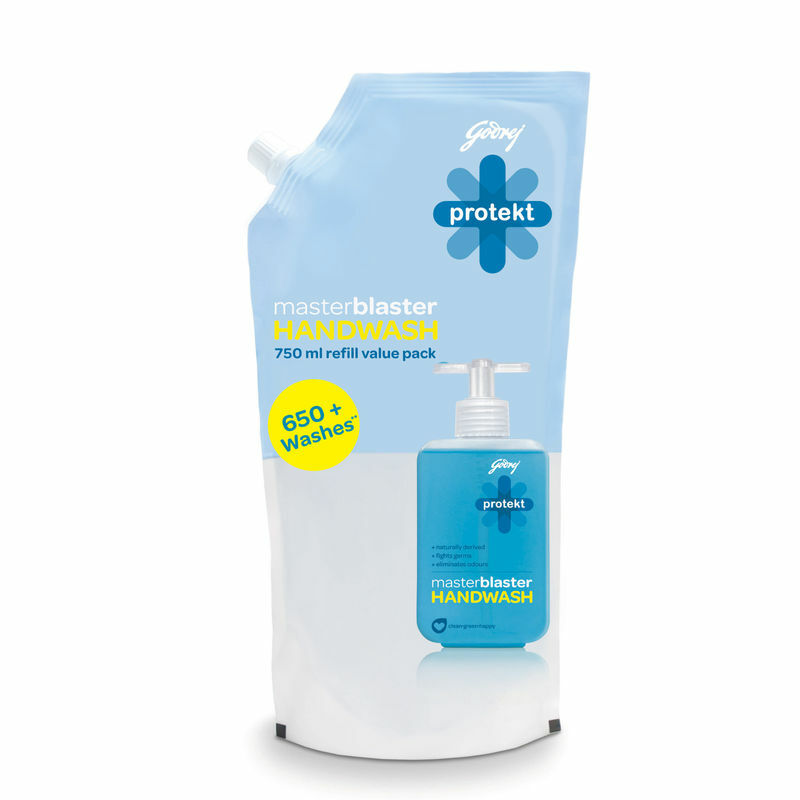 It washes the germs away like nobody's business – while of course, leaving your hands soft and your nose delighted.Protect your family by using Godrej Protekt hand wash which is made from 98% naturally derived ingredients and which defends from dirt and germs daily. Explore the entire range of Handwash available on Nykaa. Shop more Godrej Protekt products here.You can browse through the complete world of Godrej Protekt Handwash .